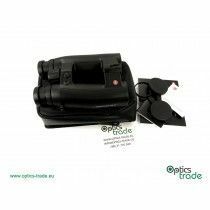 Range finding binoculars were first placed on the market by Leica in 1992 and in 2000 implemented this technology into monocular. 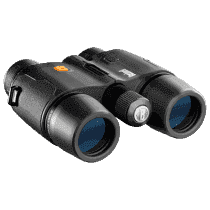 LRF binoculars combine two optical instruments in one device. 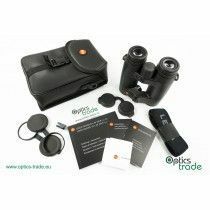 Binoculars for viewing distant objects and a laser rangefinder for determining the exact distance to objects in the field of view. 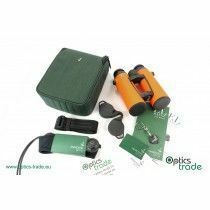 Measurements of the distance are initiated with a press of a button when a laser beam is emitted. 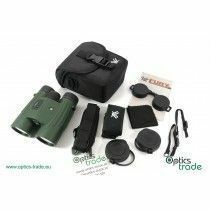 The time that laser reaches the target and its reflection back to the binoculars is intercepted, determines the distance to the object. All lasers in these types of binoculars (Class 1) are eye safe. 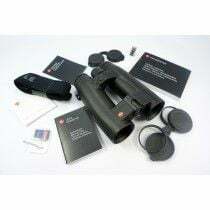 If such binoculars also incorporate ballistic software then the calculation of bullet trajectory can be done based on gravitational force and the exact aim can be provided. 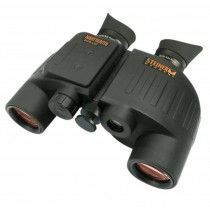 Some of these range finding binoculars have implemented different Setup Modes, with Rain mode (making corrections based on the impact of the rain), Scan mode (continually calculating and displaying) and First target priority (offering the shortest distance of all the objects in the field) adjustments. 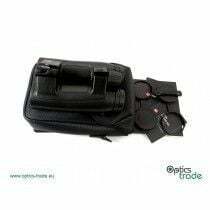 Range finding binoculars are very helpful in conjunction with the use of the ballistic turret or ballistic reticle on the rifle scope when shooting at longer ranges. 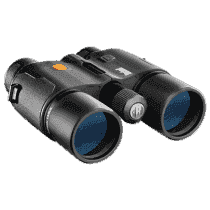 There are however also other uses of these binoculars. 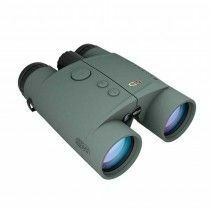 With the addition of the laser rangefinder, these binoculars gain a very distinct additional functionality compared with classical binoculars. 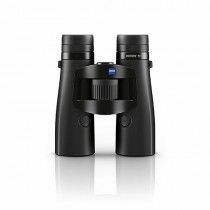 The downside of this matter is that producing such devices with the same level of optical quality demands much higher costs than normal binoculars. 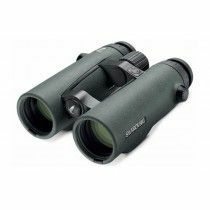 They are mostly used throughout the day and therefore the configuration 10x42 is very suitable as these binoculars are usually used for watching on longer distances. 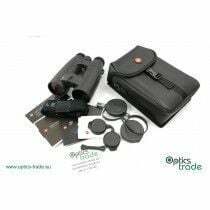 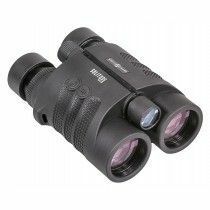 These binoculars work very well for shooting at targets during the day and are very convenient for hunting in the mountains or for safari, both with strong daylight. 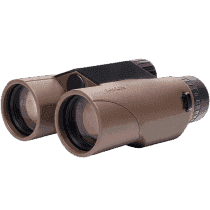 They fade faster in low light compared to the 8x42. 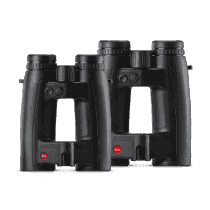 For low light use, it is important that the binoculars have a 54mm or 56mm objective lens, which are currently manufactured only by Leica and Zeiss (LRF included). 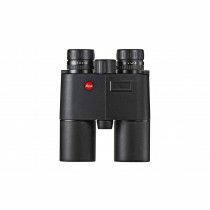 8x56 and 15x56 models by Leica and 8x42, 10x42, 8x54, 10x54 models by Zeiss, which are all suitable for use in low light conditions. 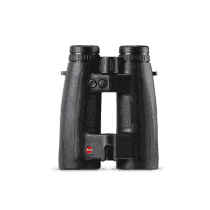 Leica's models, however, have the advantage of having a Perger Porro prism that has a higher light transmittance. 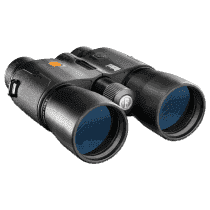 In general, most likely, these laser rangefinding binoculars will never be as bright as the ones without it, because the display in the field of view and the LRF system degrade the light transmittance. 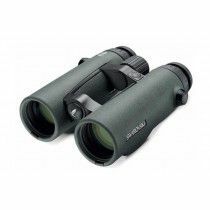 The model that we need to highlight is the Swarovski EL Range with exceptional optical performance and SWAROAIM electronic integrated. 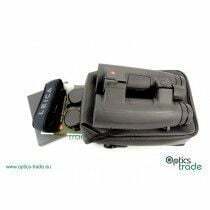 It has an inclinometer that calculates the distance and the equivalent horizontal distance with laser measurement and helps to correct the ballistic turret or reticule. 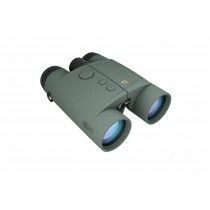 It is also extremely compact and has the same light transmittance and the same color fidelity in both barrels, which is usually the problem of LRF binoculars. 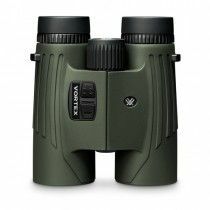 Their LRF binoculars can also measure through the glass which is a great improvement. 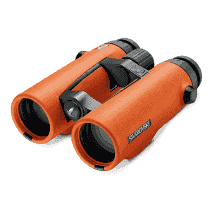 In 2018 they introduced a new version of the EL Range model in vivid orange color, called EL O-Range (8x42 and 10x42). 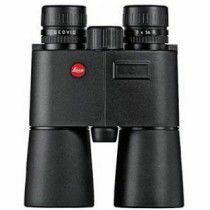 They produce only one- 8x30 model. 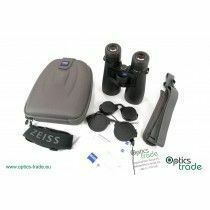 Its specialty is that it has a Porro prism system and a very powerful laser, measuring up to 1,700 m. It is also very small. 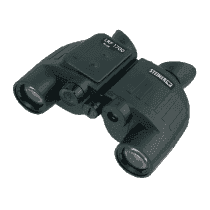 Steiner makes most of the optics for military and police use. 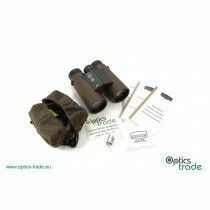 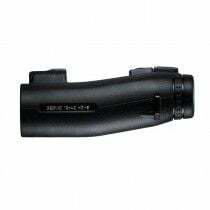 These binoculars are of high quality, reliable and extremely durable.